The "Abyss" is the last unexplored place in the world. Strange and wonderful creatures roam within, and it is full of precious relics that present humans can't recreate. Those that dare to explore the depths are known as "Cave Raiders." An orphan girl named Riko lives on the rim. Her dream is to become a Cave Raider like her mother and solve the mysteries of the cave system. 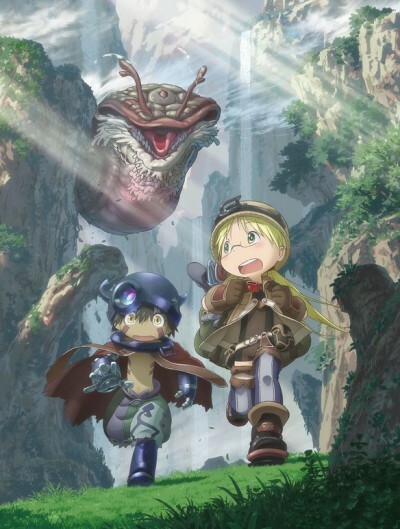 One day, Riko starts exploring the caves and discovers a robot who resembles a human boy. Yes, I cried. Am I proud of it? Uh, yeah, of course! A creative and emotionally beautiful ride. A mediocre show with under-developed ideas and fetishised children.